Philly Mag's Fabiola Cineas talks with the CEOs of Houwzer and ROAR for Good about a new wearable with great implications for real estate agents' safety. For the original article, visit Philly Mag. Philly startup ROAR for Good has been snatching headlines and wallets for the past two years, and now the startup’s highly anticipated first product — the Athena — has officially made its way into the hands of consumers. Remember when cofounders Yasmine Mustafa and Anthony Gold crowdfunded a whopping $267,000 in 30 days for the product back in 2015? Now, two years later, with the window for pre-orders coming to a close this week, the company again has some fascinating numbers to share. In a week, Athena will have its official out of preorder launch when it’ll retail for $129 up from its $99 promotional price. 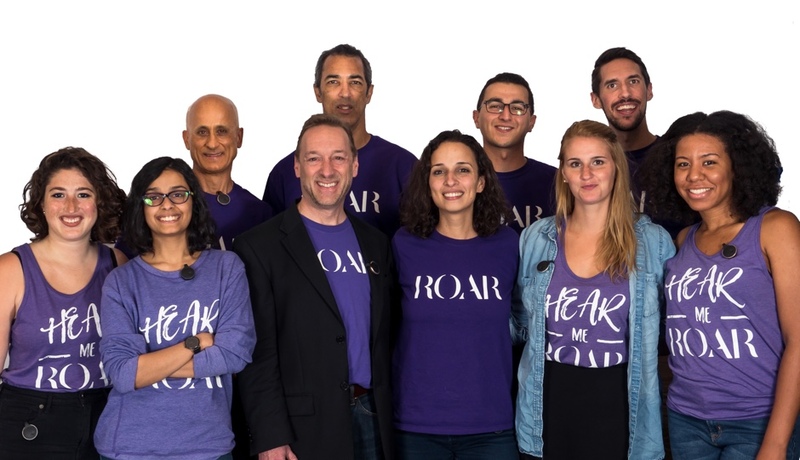 BizPhilly caught up with ROAR for Good CEO Yasmine Mustafa for more insight on the launch, a new local partnership, and what’s on the horizon for the startup. And though the company says it’s getting tons of good feedback on Athena, Mustafa shares some challenges the company continues to face. BizPhilly: Pre-orders of Athena finally made their way out to customers! What’s demand for the product been like? We got about 10,000 preorders and 11 percent of all preorders were from international customers. We’ve gotten orders from every state in the U.S. and more than 50 countries. The international orders will be shipped next week. BizPhilly: Can you share any other Athena milestones or important dates? Beginning September 1st, customers can order the product and expect a shipment within three to five days. In October, we’ll be adding a 9-1-1 feature. The feature will work with any of the Athenas you have. It doesn’t require a separate device. BizPhilly: In addition to individual customers, you’ve got other businesses buying up Athenas for employees. Real estate startup Houwzer is one such company. Can you talk about how the partnership with CEO Mike Maher came about? I didn’t realize that’s how the real estate industry works. Maher told me about how different his model is and that everyone there is salaried. So I said, talk to me about their safety. Maher decided that since his company is different in every aspect from the rest of his industry, he said he wanted to be different in this way too. And with the both of us being certified B-corps, he made it clear that his company really believed in what ROAR was doing. After we demoed the program to theirs staff, we shook hands on it. They’re currently piloting the products with a few agents and have plans to roll them out to all 25. BizPhilly: What’s the significance of having partnerships with other local companies? B2B for us has always been a potential channel but not necessarily one we actively pursued. Then all of a sudden we had all these great leads that came. With Houwzer specifically, instead of giving lip service and just saying “I care about my employees,” they’ve gone the extra mile to say, “I’m going to buy these. I know safety is a big concern amongst real estate agents, most of whom are women. I’m going to go the extra mile to onboard my employees.” There have been a few things happening in the tech industry like the Google Manifesto and more tech companies are reaching out to us as a result. It’s refreshing to see. Not sure where it will go yet, but we’re excited about the potential. BizPhilly: What kind of feedback have you gotten so far? It’s been really good. We send out a getting started guide about three days after shipments, and then in seven days we send out a survey asking for feedback. I cringe reading sometimes because I’m asking for feedback on my baby. The feedback has been great. There have been some testimonials from customers who say they feel more able to live their life they want to live it versus being afraid at night or in a certain neighborhood. That always makes everything worthwhile. BizPhilly: With the rollout, what kinds of challenges has ROAR experienced, if any? Hiring software developers has been a huge challenge for us. We’re now at 10 full-time people, and four part-time. We’re hiring for two more software positions and an electrical engineering position. The electrical engineering position has been open for months and we just have not been able to find the right person for it. We had to resort to hiring an agency, which is the last thing we wanted to do. Manufacturing itself is also a challenge, especially because our facility is in China. It’s not necessarily a communication issue but what’s happening is the government is cracking down on environmental standards. This is great, but the government is shutting down facilities to conduct audits, which means everything stops until the audit is done. We’ve unfortunately experienced some delays because of that. BizPhilly: Any chance these can be manufactured in the United States? I hope so. There is a coalition that came down from New York and they’ve been talking to hardware companies and the community here to increase the manufacturing potential of the Philadelphia area. They’ve been conducting focus groups with a lot of entrepreneurs. If there is a possibility, we’d love to especially as a B-corp. We’re very cautious about the factories we choose to partner with and the material we use for packaging, too, for example. It would be great to be able to cut down the costs enough to work in our own backyards. It would be a lot easier without the 12-hour time difference from China. BizPhilly: What’s next for ROAR beyond Athena? In conjunction with the rollout, we’re working on our next product—something completely different from Athena. We’re doing some focus groups and market research to figure out exactly what demographics we want to hit. It will definitely still be a safety product, just trying to figure out what type of product and its accompanying features.